Performance meets style and comfort in this multi-purpose sweater! 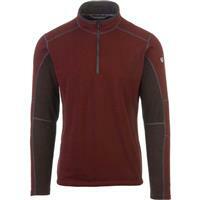 Its KASHMIRA fleece was specially made to be lightweight while keeping you warm and dry. 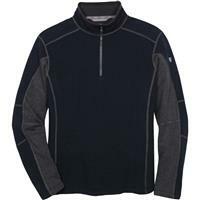 The Kuhl Revel 1/4 Zip will also dry quickly if it does get wet and resists pet hair and lint. Other sweaters may have similar properties to keep you warm, but the material can be itchy and uncomfortable. 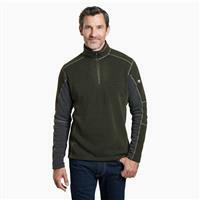 The Kuhl Revel sweater is made from soft, fine-gauge yarn and has microsuede on the inside of the collar. 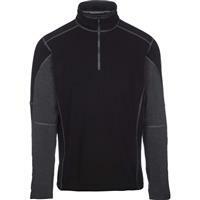 The 1/4 Zip is an easy and convenient way to either cool down or warm yourself up. When you're wearing it as a middle layer, zip it up to trap in some extra heat or zip it down to cool off after you've gotten your blood pumping. A unique feature of the Kuhl Revel 1/4 Zip are the reticulated sleeves made with five panels, giving you optimal movement. It comes in a variety of different colors to match any style. Pros: Great Looking, Stylish, High Quality! 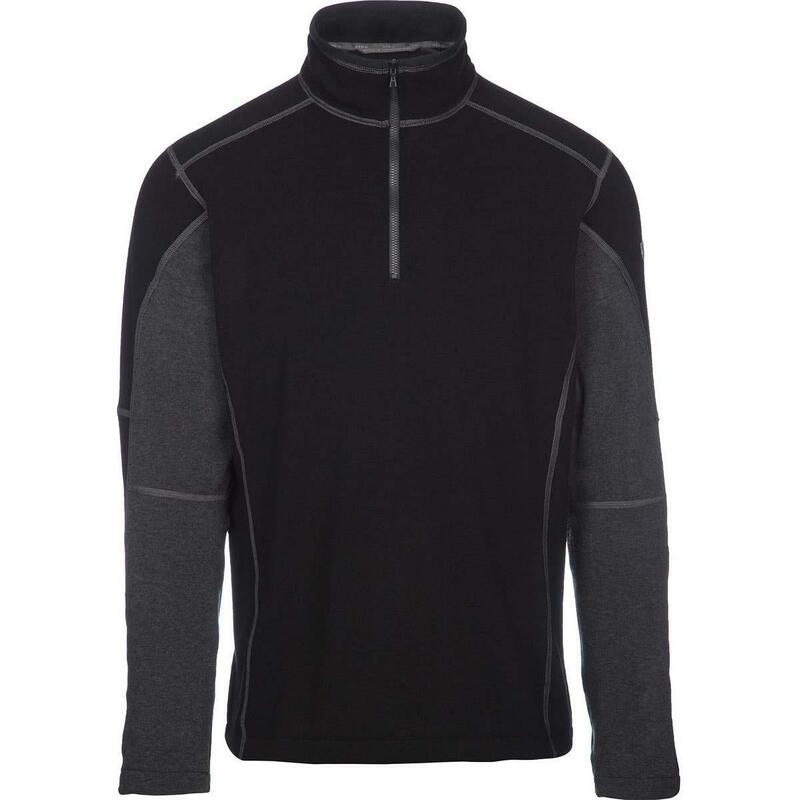 Great Looking in Brick Charcoal color, Stylish 1/4 zip fleece. I am 6 ft, 180 lbs. I usually wear a large, but I would go for an XL for this for better range of motion comfort. 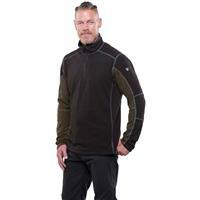 For Kuhl clothing....I keep repeating myself...Great Looking, Comfortable, High Quality. You can't go wrong buying any Kuhl clothing! !